Redditch Christmas Light Switch On for 2019 takes place on 24thNovember. It kicks off at 11am with a parade from the town centre including real reindeer alongside charity groups and mascots. Of course, no Christmas parade would be the same without Santa who will also be taking part! You can visit him in his grotto in the Kingfisher Centre around midday. The lights will be turned on at 4.30, pre-empted by a Free Radio hosted stage outside by St. Stephen’s Church. Additionally, there is a Christmas market running all day on the 24th. Ribbons and garlands can be hung from the ceiling or cabinet knobs to save space. Equally, it’s nice to keep your kitchen looking festive whilst maintaining practicality. You can also hang fresh mistletoe in hard to reach areas. Table centrepieces don’t have to be vast sprawling sculptures of magnificence. You can handmake a beautiful and simple table decoration using a recycled jam jar, some pine cones and the old reliable fairy lights! If you are lacking in square footage or available floor space, try a tiny tree and make that feature. As opposed to trying to squeeze something that will make it obvious you are tight on space this will look simple and effective. If you have a smaller space to decorate, a swift way to get a big festive feeling is go large with colour! Be brave with shocking red or vibrant yellow; especially if you’re adding these to a neutral colour palette this will give an instant Christmas feel. A fresh holiday scent instantly gets the senses going with thoughts of an atmospheric Christmas. You could cook up your own fresh potpourri using cranberries and cinnamon or, light a pine scented candle for a quicker fix! Even if you have got lots of space indoors, it’s always nice to jazz up the outside of your house. You can hang a wreath on every available door, even the garage! Furthermore, you can bring some festive cheer to trees and shrubs that might otherwise be left out of the decoration party. 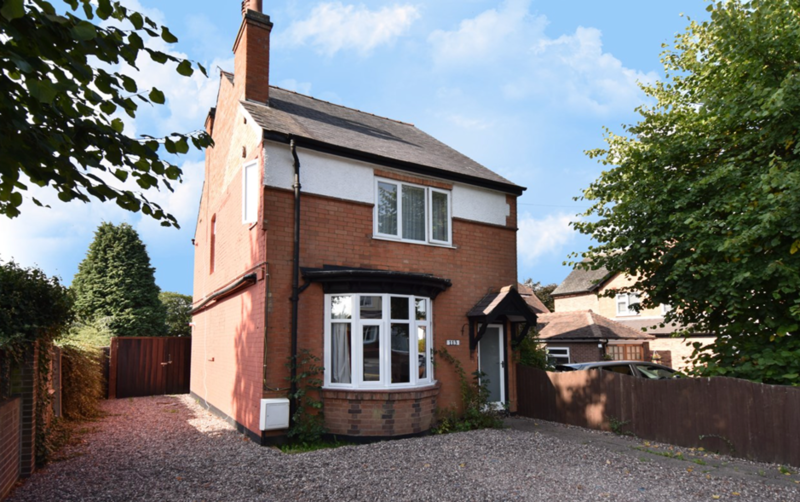 The more lights the better in our opinion and this house for sale on Birchfield Road, Redditch, has the optimal amount of driveway space to put on a real Christmas show!